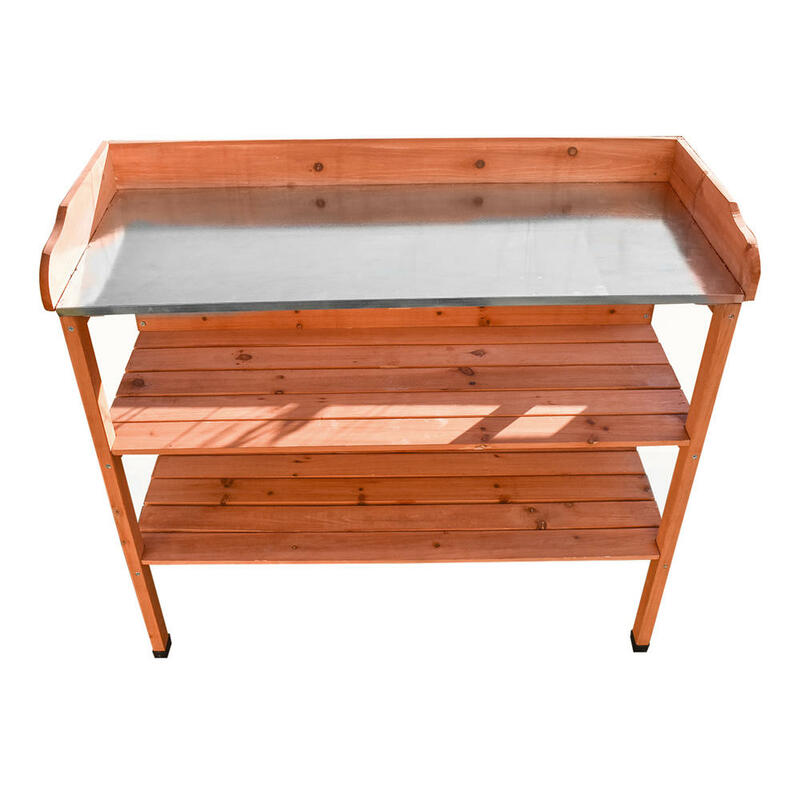 Galvanised Steel top tray, ideal for potting work. Under shelves can hold excess pots and tools. Feet to protect from ground conditions. 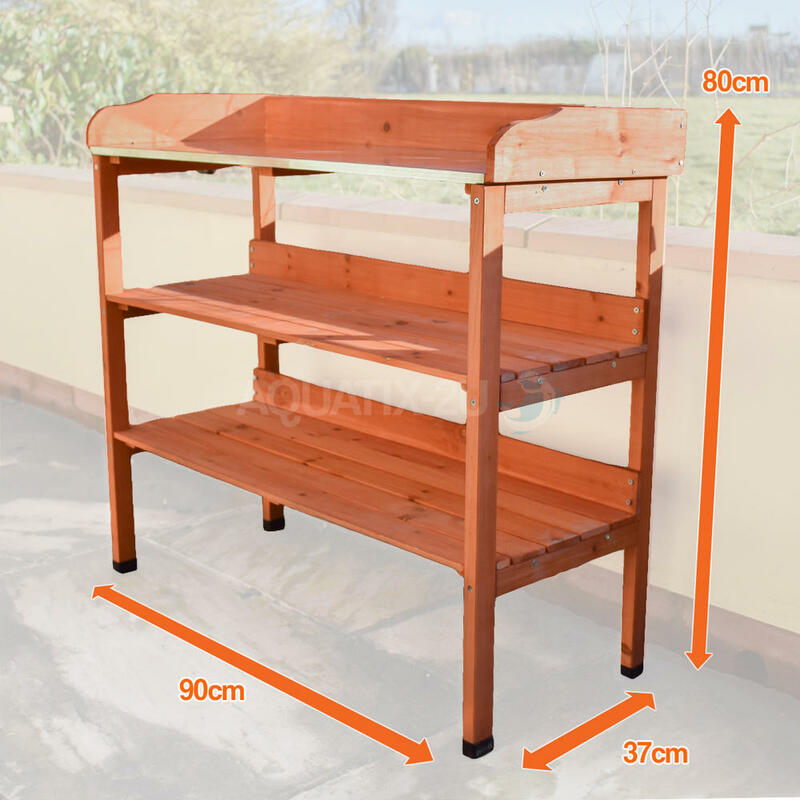 The 3 Tier Garden Potting Bench is a compact and lightweight work station for your gardening needs. 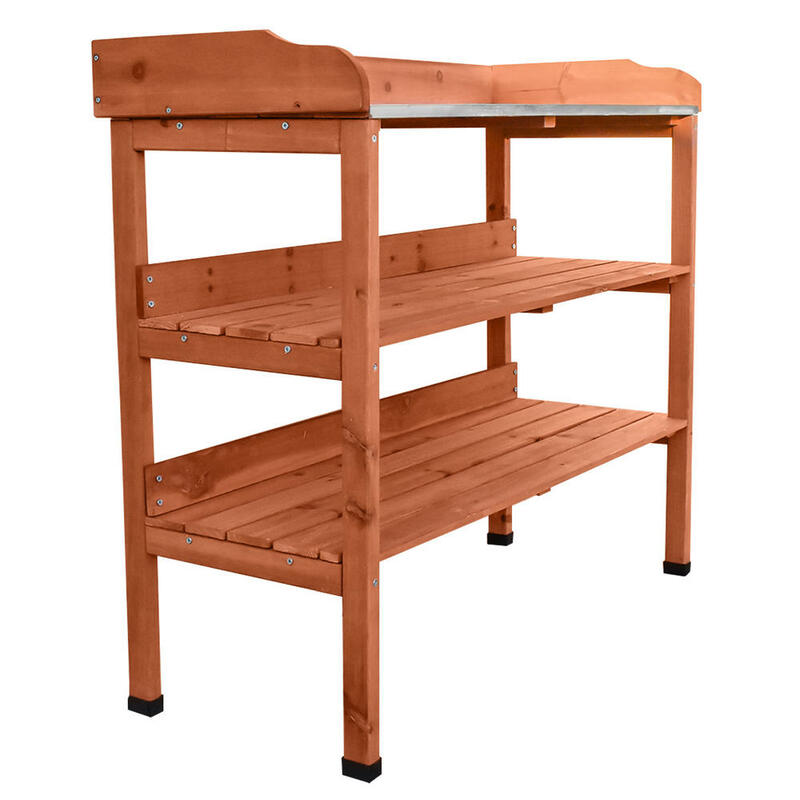 The Bench is constructed of wood and features two storage shelves and an upper potting table. 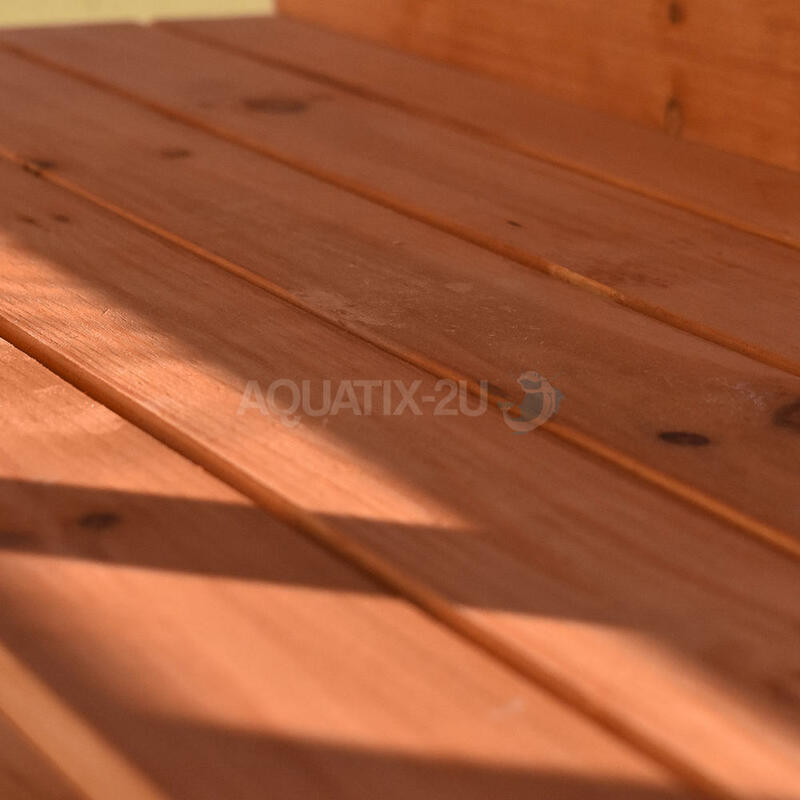 The unit is raised off the ground and has feet to protect from soft or wet conditions all year around. 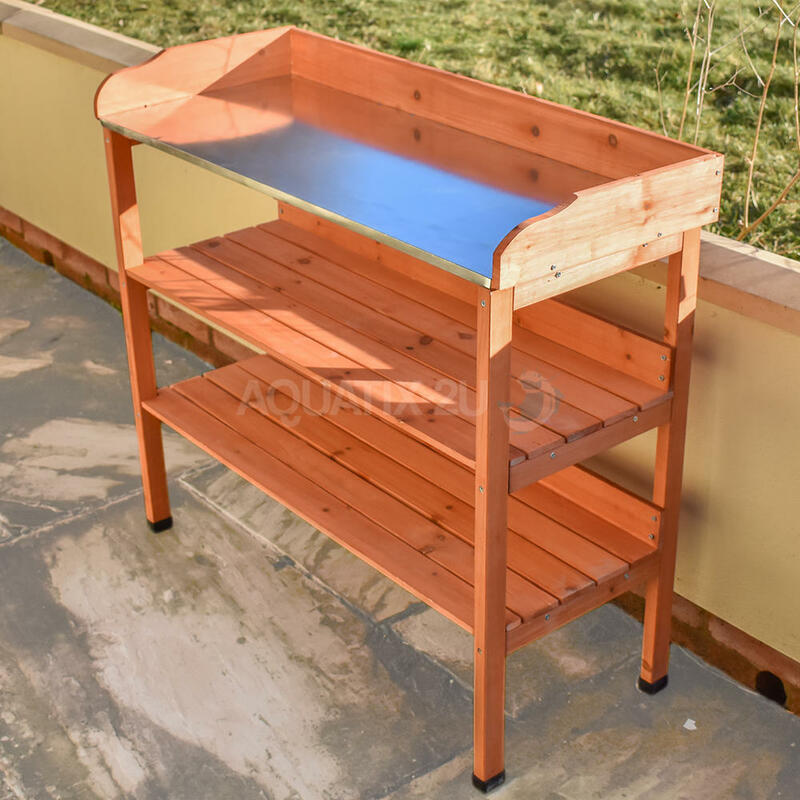 The Top of the workstation has 3 retaining sides, protecting your plants and soil from falling away, making a neat working tray. 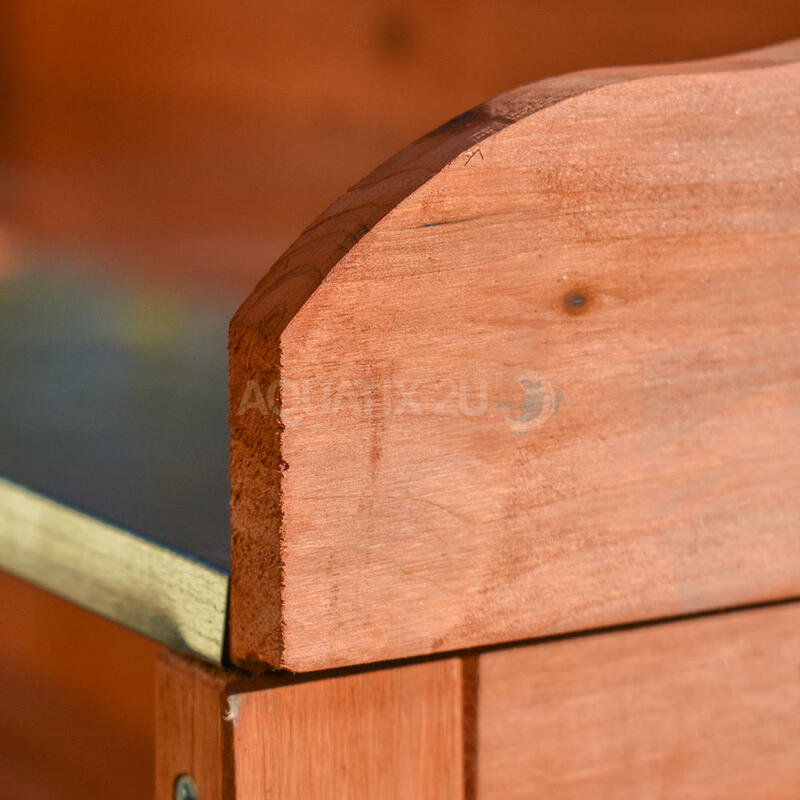 The tray is covered by galvanised steel and is easy to work on and keep clean, easily brushing away any soil or debris. 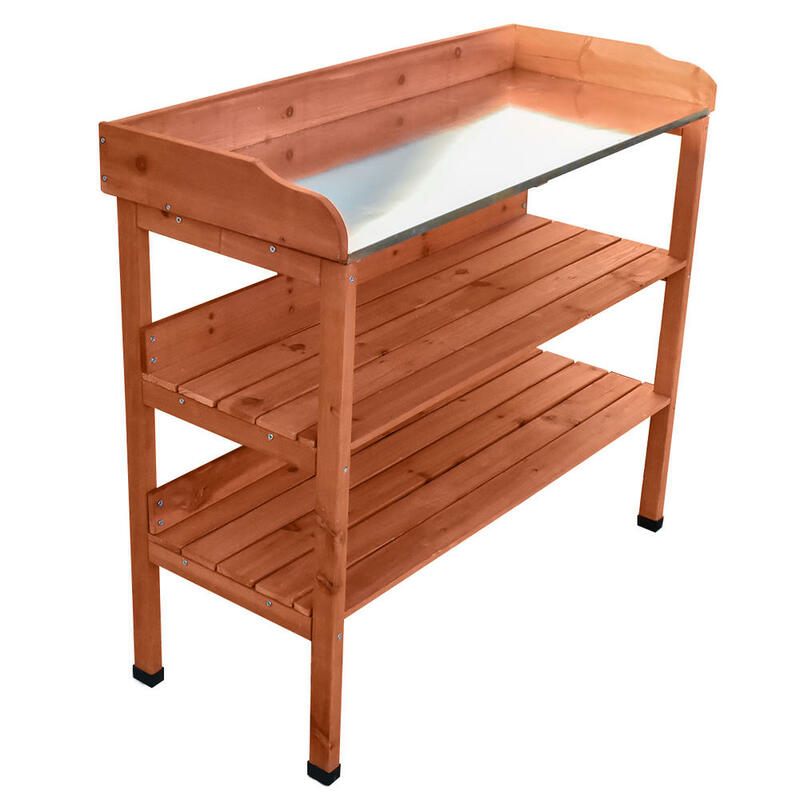 The top is ideal to use as a potting station and work bench when preparing plants. Underneath the work bench is 2 spacious storage shelves, perfect to store pots, soil and all your tools. 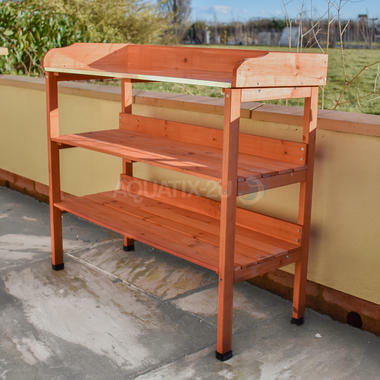 Each shelf has a retaining back board to stop wayward items from falling down. The unit stands at 80cm high and is compact enough to be placed in any greenhouse, shed or open work area. 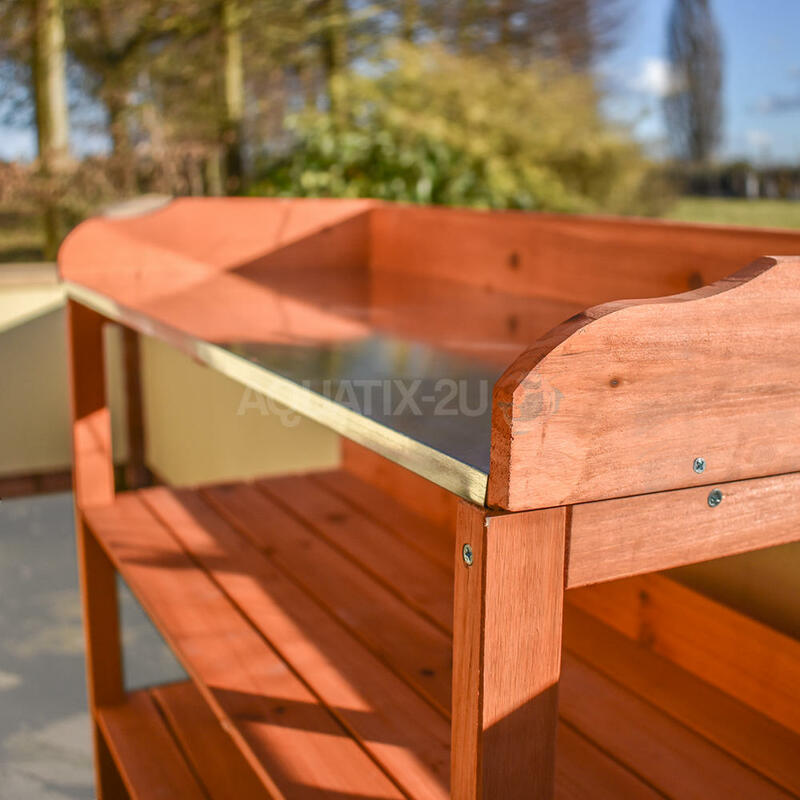 The bench can also be utlitised around the garden for other projects and needs.